The Hungarian village of Zivatar may be isolated, but it is not completely immune to the changes sweeping the country. The Soviets have left, and the villagers are warming to the blessings of capitalism-expensive cars, cheap women, and California fruit. It's all too much for Valeria, the village grouch. And yet, Valeria is not immune to change, either. Her routine trip to the market leads to unexpected love, and sets off a chain reaction through the entire village. A remarkably accomplished debut novel, Valeria's Last Stand contemplates love, lust, tradition, and transition with wisdom and warmth. The Hungarian village of Zivatar may be isolated, but it is not completely immune to the changes sweeping the country. The Soviets have left, and the villagers are warming to the blessings of capitalism-expensive cars, cheap women, and California fruit. It's all too much for Valeria, the village grouch. And yet, Valeria is not immune to change, either. A routine trip to the market leads to unexpected love, and sets off a chain reaction through the entire village. 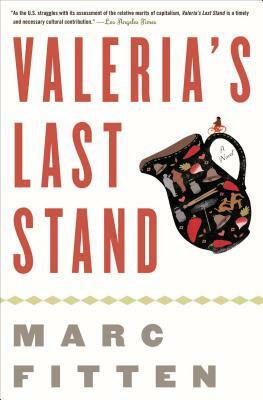 A remarkably accomplished debut novel, Valeria's Last Stand contemplates love, lust, tradition, and transition with wisdom and warmth.